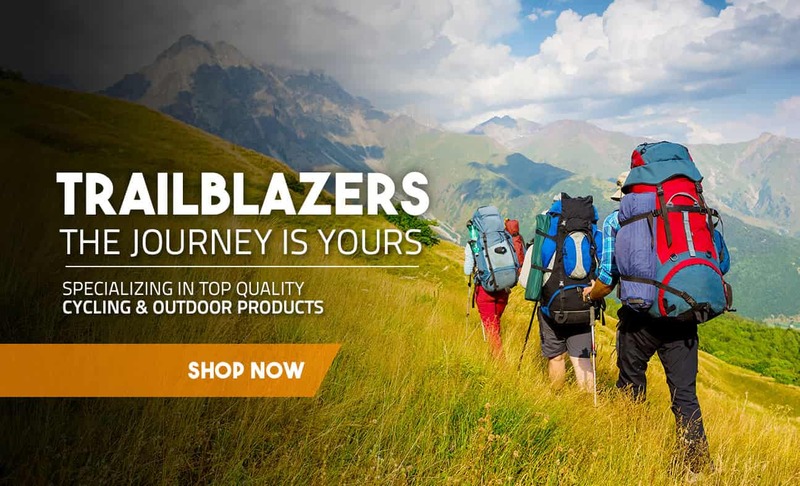 TrailBlazers Outdoor Retail is a Cycling and Outdoor Specialists Store that is focused on getting people kitted out with the clothing, footwear, accessories and equipment that will best suits their needs and outdoor activities. We are a family business and we think that customer service is paramount in ensuring that our customers are happy with their shopping choices. We first opened our doors in November 2010, with the aim of supplying top quality products, in a relaxed open plan retail setting, backed by knowledgeable staff, committed to delivering a high standard of Customer care. As a family business, the “Customer Experience” is paramount to us as we continue to build and develop our business. Our expert staff are always on hand to deliver enthusiastic and passionate advice for each customer query. It is our intention to carry this ethos into our E-commerce Website also, and we hope that our current and new online customers will appreciate and benefit from our customer care program. We stock a huge range of best-selling brands including: Meindl, Columbia, Helly Hansen, Berghaus, Salomon, Merrell, Animal, Weirdfish, Sprayway, Cube, Cannondale, LaPierre, Dawes, Kellys, Altura, Craft, Vango, Trekmates, Lifeventure, Lifesystems, Zone 3, Billabong, Sola, Typhoon, Palm, Ronhill, Saucony, Mizuno, 1000 Mile, and more! Do you want face to face expert advice? Why not pop in-store and visit us, have a chat with a member of our staff and see how they can help meet your requirements. If you are based further away, why not give us a call on 071 9616660 or email us at trailblazersleitrim@gmail.com.